India is an amazing land stuffed with beauty, prosperity, tradition and out of all the vividness in nature’s wilderness. It is the only land where one can discover to surpass the variety of species and living organisms residing in their natural and beautiful habitat. With incessantly raising of urban effects in our daily life, we are getting deviated from natural environment and its conservatism. From the last 50 years, the rates of our national species are declining that is eventually misbalancing our global atmosphere. 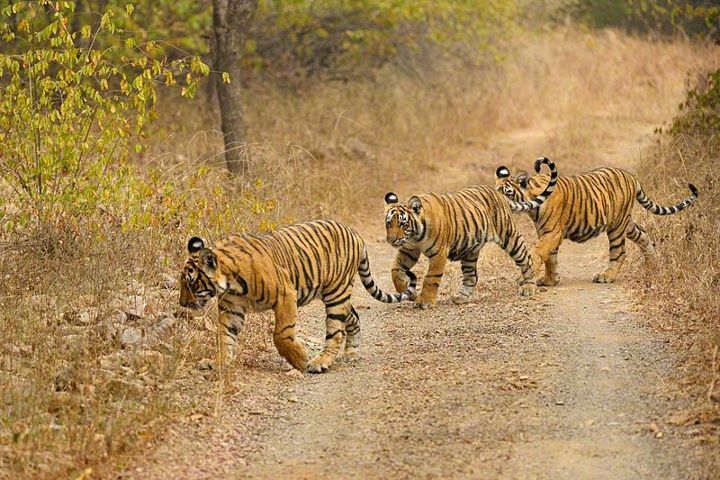 At the turn of the last century, there were an estimated 45,000 tigers living in India forests but since then the rate declined to 1411 which is surely a serious issue. Keeping wildlife conservation in mind, many wildlife reserves were established that promise to maintain the counts of our national animal and other species. The wildlife reserves are so designed to maintain natural habitat for different species so that they can survive independently and with full protection. These natural habitats are being popularized in the form of national parks in India. With almost 89 national parks, 13 bio reserves and 400+ wildlife sanctuaries, the objective of wildlife protection is towards a successful steep. Some of the glittering gems of this protective crown are Jim Corbett Tiger Reserve Park, Ranthambore National Park, Bandhavgarh National Park, Kanha National Park and many others. But by simply establishing many wildlife reserves; do our duty ends? Are we really sure that our mission “save wildlife”, is emerging with positive results or do we really find great changes in terms of wildlife protection? We are still answerless since we all know we are not becoming essential part of these movements. As a responsible citizen, it is indeed our duty to take active participation in wildlife conservation in India, directly or indirectly. You must have come across the “Aircel- NDTV India-Save the Tiger” initiative campaign that motivated thousands of people across India to come forward in support of this noble cause. The results were really amazing and people took active part in this campaign in the form of e-polling, advertising and fund raising. But there are still many more steps needed to follow so as to save wildlife in our country apart from such campaigns. – Encourage people to stop hunting while making any jungle trip and should not disturb any wild animals knowingly or unknowingly during their jungle expedition. – The process of deforestation has minimized the local habitat of the wild creatures and so we should make people aware of the necessities of the forests in our environment. – For that purpose, the misuse of papers and woods should be prohibited so that we can minimize the extent of cutting of the trees. – Plantation can be the most perfect and preferred option for us in terms of spreading greenery and eco-conservatism. Since with increase in trees and plantation we can create a suitable and healthy atmosphere around us and around the wild lives. – Some other indirect ways are campaigning, promotions and advertisements, discussions, write-ups like articles and blogs can be very useful for the general awareness of the people around us. Focusing on wildlife conservation is not only being channelized for the purpose of save tiger mission but this can bring global effects on our environment and our eco-system. When our attempts of balancing the life cycle are encouraged, these efforts in due courses are for our own benefits. Saving wildlife is saving the environment and thus saving ourselves only. Therefore, come forward for this great cause and make small or large steps to protect our environment to protect us.